You're going to need some deep pants for all that deep pow. 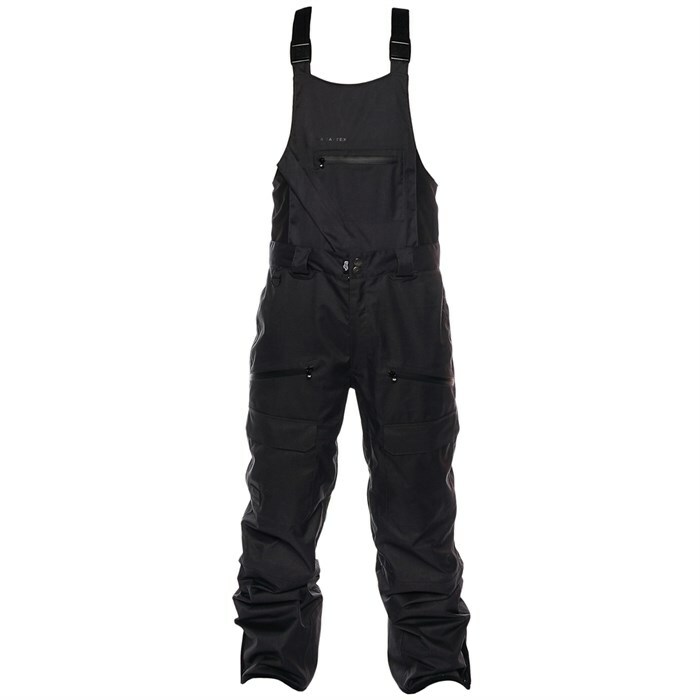 The Saga Anomie Bib Pants feature handy suspender straps that make customizing your style easy. Oversized storage pockets provide plenty of room for snacks and daily essentials without needing to dig around in a pack. A two-layer, 10k/10k waterproof breathable fabric acts as a fortress against gnarly weather while allowing sweat vapor to escape for a drier, more comfortable shredding experience. Style to the nines without sacrificing on technical gear performance with the Saga Anomie Bib Pants. SAGA-Tek™ Poly Twill Fabric  Two layers of material protect against the elements for a durable and more packable outer layer solution. Traditional Fit  Slightly longer cut with a regular proportion to width. Traditional does not mean short and wide. Loose This is the loosest fit of outerwear, designed for more coverage, maximum room for layering, and a baggy look. Jackets have more room in the body and sleeves and pants are relaxed at the waist with a roomier thigh, knee, and cuff. The length of the jackets and sleeves are typically longer compared to a traditional fit.